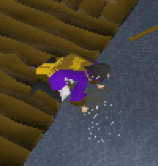 One of the most chill skills to train is Fishing OSRS. 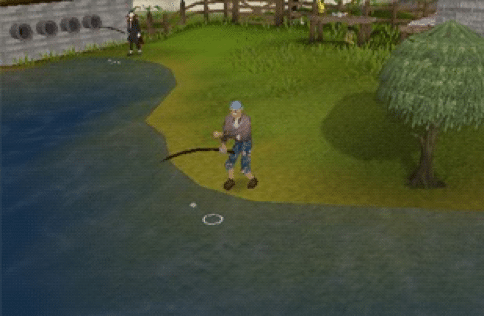 You pretty much do what the title suggests – catch fish in your selected spot somewhere around Gielinor. The higher your level, the more ways you unlock to fish. You also develop your ability to catch a bigger selection of fish and increases your catch rate. You can use the fish you caught to make yourself healing food through the Cooking skill, so Fishing and Cooking go well together for training. Another way to profit from Fishing is to sell your catches for OSRS gold. By the 1st of February 2019, there are 32,225 players with level 99 Fishing OSRS and 48 players with 200M Fishing xp. Now, if you’ve set your mind on training Fishing, there are two important things you need to look into in order to receive better results: the fishing equipment and the fishing spots. In this article, we are going to help you go over them quickly and learn what you need to know about Fishing in order to get a good and steady xp/h rate. As with any skill, when training Fishing it’s important to pick the best equipment available for your level. You can start by buying OSRS gold and going to Gerrant’s Fishy Business in Port Sarim or at Harry’s Fishing Shop in Catherby. There are eight more fishing stores spread around Gielinor. At the start of your Fishing training, when your level is still low, you will have to use nets in order to catch the fish. You can only use fishing nets in the seas. There are two types of nets – small fishing net and big fishing net. The difference between them is that when you use the big fishing net, you may catch more kinds of fish and sometimes items like caskets. However, the small fishing net is used far more frequently, because with the big one, due to the big variety, you catch a lot of worthless fish and objects you don’t need and simply fill your inventory such as Learther boots. Big fishing nets are used mostly for the bass it produces because it can be used to enchant lyres with a ring of charos, or to get caskets as they might contain half keys or higher level talismans. To use the nets, you simply need to find an available fishing spot and click on it. For mid level fishing, you can use fishing rods. They can be used to train in both rivers and seas. To use the rods, you need bait – fortunately it’s pretty cheap, it’s like 3 coins each, but you can also get it for free as drops from monsters or random events. For every fish you catch, you use one piece of bait. There is also an oily fishing rod, which is made during the Heroes’ Quest by using blamish oil on a normal fishing rod. It’s used to catch lava eels and Infernal eels. It’s best to keep this rod after the quest even if you don’t want to use it for training Fishing, because you will need it in order o complete a hard wilderness diary task. Another option for rods are the fly fishing rods, which are best suited for mid level training as well. They can be used in rivers only and in order to do that, you have to buy feathers too. You can purchase some at the Shilo Village in Karamja or at the Port Sarim fishing shop with OSRS gold, or you can get them as free drops from chicken. There are also stripy feathers, which work the same way as the normal feathers but give you access to fishing rainbow fish rather than just the ordinary trout and salmon. 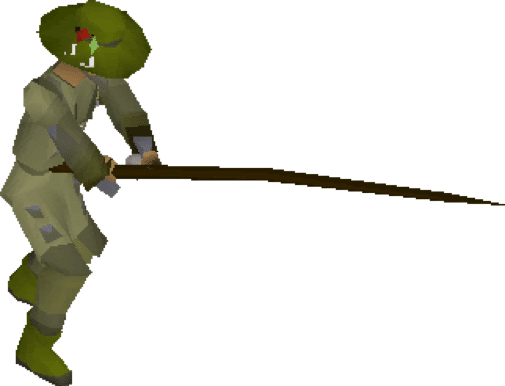 For mid and high level OSRS Fishing Guide, you can use harpoons – they can be used at seas only. There are four types of harpoon – the regular one, the barb-tail harpoon and the Infernal harpoon all have the same catch rate, while the dragon harpoon has a 20% faster catch rate. Players usually don’t use the normal harpoon because it can’t be wielded unlike the other three, so it takes up inventory space. If you take a lesson from Otto Godblessed, he can teach you how to catch harpoonable fish with your bare hands. Levels are higher and you will have a Strength requirement, but you catch fish faster this way and it saves space in the inventory. If the option “cage fishing spot” is available at your spot in the sea, you can catch there lobsters with lobster pots. Lobsters are a quite popular healing food so that’s quite a fortunate way to train Fishing. Another option for training Fishins OSRS is to obtain Karambwan vessels from Lubufu, located south of Brimhaven, once you have started the Tai Bwo Wannai Trio quest, and to catch karambwan with them. You can buy the karambwan vessels from Tiadeche’s Karambwan stall in Tao Bwo Wannai if you have completed the quest. There are loaded with karambwanji, which is bait for the karambwan fish and can be caught from the lake near Lubufu. Karambwan can be caught on the northeast shore of Ship Yard. What else? Ah, yes. You’ve heard the term probably. “Barbarian Fishing OSRS“. Basically if you have level 48, you can speak to Otto Godblessed in his home near Baxtorian Falls and learn some barbarian methods to catch fish. To learn how to heavy rod fish, you need to get the barbarian rod which is under Otto’s bed and any kind of bait except for stripy feathers. You need a certain Strength and Agility level to catch the special leaping fish – the lowest Strenght & Agility requirement is level 15, while the highest is level 45. If you’re level 48 Fishing, you can catch Leaping trout, however for Leaping salmon you need level 58 and for the Leaping sturgeon you must have level 70. You get like 50/70/80 xp per leaping fish, which is great. 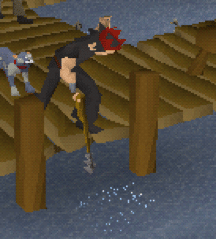 You can use a knife on the leaping fish you caught to obtain roe and caviar which you can use for the Herblore skill, also catching them gives you Strenght and Agility xp as well. After that, you may learn how to fish tuna, swordfish and sharks with no harpoon, just your hands. This method has higher level requirements though – for Tuna you need 55 Fishing level, for Swordfish 70 and for Shark – 96. One of the downsides of this method is that even if you have the level for sharks, when you’re fishing for them you’re gonna catch tuna and swordfish along, and they give you lower xp. As for the gear, there is the Angler’s outfit you can equip after level 34. It’s an xp boosting clothing set that gives you 2.5% bonus xp if you have all the parts and wear them during training. If you equip it at level 34, it will give you about 337,650 xp bonus til level 99. 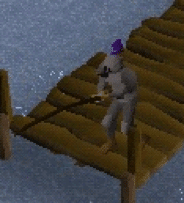 That’s why it’s uncertain whether it’s rewarding to invest time in getting the Angler’s set – in order to get it, you need to complete the minigame Fishing Trawler and you have a 1/8 chance to receive a piece of the outfit you don’t have yet in the trawler net west of the boat. So you may spend a lot of time gathering the outfit. The designated world for Fishing Trawler is 370 and it’s best to participate in a group because it can get overwhelming for a single player. Your job is to prevent the boat from sinking for 12 minutes in the sea. Completing the minigame is also a great way to unlock sea turtles and manta rays and to obtain the heron pet. Swordfish gloves are also a good item to obtain if you’re catching swordfish. They are a reward you can get with 200 tokens from the Fist of Guthix minigame or for 80 thaler from Stanley Limelight. You need to have 65 Fishing level to equip them and they give you an additional 100 xp for every swordfish you catch. The boost is used up after you catch 1000 swordfish and the Swordfish gloves crumble. You can buy the same item for sharks – Shark gloves. • Piscatoris Fishing Colony (you can use small fishing nets) – it’s northwest of the Grand Tree. That’s the only place in the game where you can catch monkfish which are 120 xp each and are caught as fast as lobsters. You need level 62 to catch them and to complete the Swan Song quest to access the fishing spot. • Fishing guild (cage, harpoon, net) – requires 68 Fishing and is very close to a bank. One of the fishing areas with great atmosphere and usually very friendly players. It’s southwest of The Seers village and you can catch shark, lobster, swordfish and tuna. 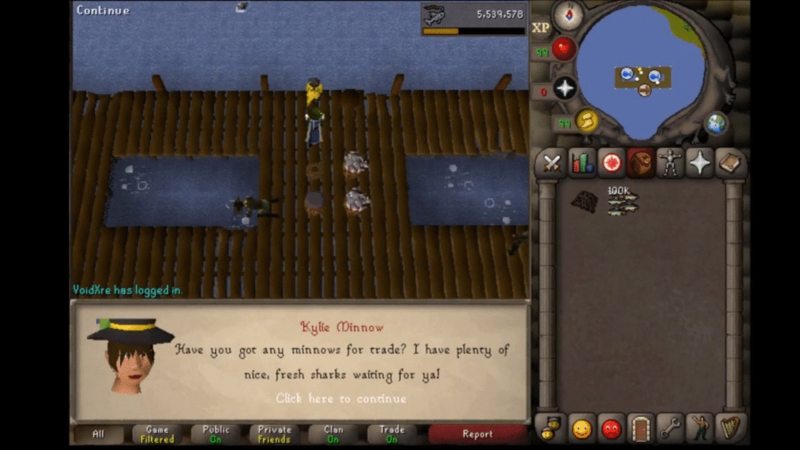 There is also an interesting Fishing method you can try at Kylie Minnow’s fishing platform here – it requires a small fishing net and level 82 Fishing OSRS. You also need to have the full Angler’s outfit and to complete the Fishing Contest quest. There are minnow fishing spots that move around the small platform at a fixed rate of 15 seconds and you have to move with them to keep catching fish. There is a flying fish that appears from time to time on the spot and will eat 20 minnow out of your inventory. You can exchange 40 minnow for one raw shark by trading with Kylie Minnow. • Barbarian Outspot (heavy fishing rod) – you can use this only if you’ve had Barbarian Training. To get there, teleport with the Games necklace to Barbarian Assault and go south. You can catch Leaping fish here, it’s very fast xp but the bank isn’t very close. However, this makes it one of the best spots for Power fishing, where you just drop the fish you caught and train for the good xp rate. • Shilo village (fly fishing rod) – actually this might be the fastest fishing spot xp, because it’s closer to a bank than the Barbarian outpost. You need to complete the Shilo Village quest and then you can catch trout and salmon here with bait or feathers. • Catherby (you can use big fishing net, lobster cage and harpoon) – it’s on the southest of Camelot and very close to a bank. • Lumbridge – you can fish in the centre of Lumbridge in the River Lum, there are a few spots. No one used to go there until the Lumbridge Castle’s bank was added. Something worth mentioning is one of OSRS random events named Evil Bob. 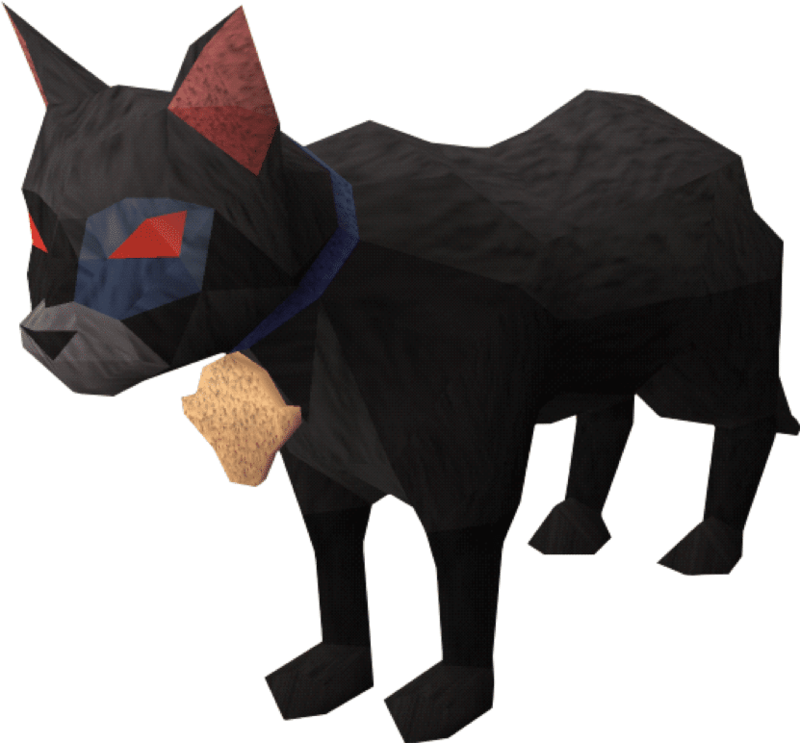 It’s basically a talking cat which is the exact opposite of Bob the Jagex Cat. While you’re fishing or practicing Magic, you can get transported randomly to ScapeRune, the kingdom of Evil Bob where everything is opposite to RuneScape. In order to escape, you have to catch a cooked fish with a small fishing net (they spawn on the beach), uncook it on a fire, and give it to Evil Bob. If you feed him with a cooked fish, the situation gets worse because you have to feed him an uncooked fish for every cooked fish you gave him. 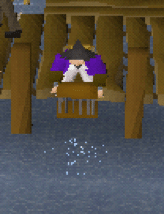 After eating the uncooked fish, Evil Bob will fall asleep and you can enter a portal next to him to return to RuneScape. The whole ordeal grants you 650 Fishing or Magic xp, depending on what you were training when you were transported to ScapeRune. That being said, the most important thing you need to have when training Fishing is patience. It takes time, there’s not much action going on, it can get downright boring at times. The fun thing is you can train it while you’re watching a movie or playing your alt because it doesn’t require much action. Joining a Fishing CC may help because you can get encouraged or even train together with other people and chat. This entry was posted in How-To Tips & Tricks, Latest OSRS News, Old School RuneScape, OSRS Mobile App and tagged 1-99 fishing guide osrs, angler's outfit, anglers outfit osrs, barbarian fishing osrs, fishing guide osrs, fishing osrs, fishing skillcape, fishing trawler, osrs f2p fishing guide, osrs fishing, osrs fishing guide, osrs fishing guide f2p. Bookmark the permalink.